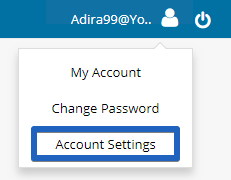 Navigate to the Profile Icon at the top right of 6Storage dashboard and click on Account Settings. Click on the Documents tab. Scroll down and click on the Enable Print Batch Invoices checkbox. To create Batch Invoice, click on Invoices / Payments icon on the left sidebar menu. Use the search option to filter the invoice data list as per your needs. You can sort the list by Unpaid Invoices, Paid Invoices etc. or sort the list by Mode Of Payment, Lease Status etc. 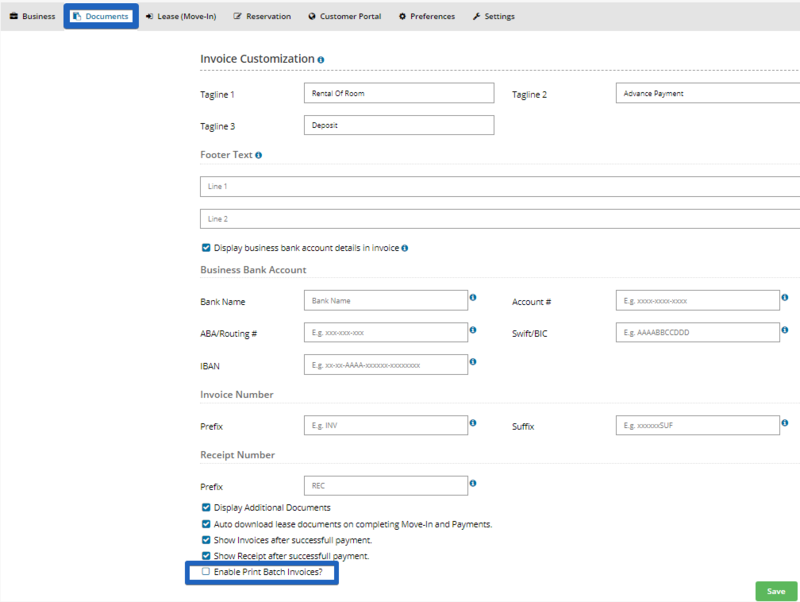 Once the invoice list is displayed, select the required data. To select, click on the checkbox on the first column. This lets you select multiple lists. You can also filter the data using the search function below the header. Then, enter the Remarks and click on Create Batch Invoice. A Download Batch Invoice pop-up opens. Select PDF or XLSX or XLS and click on Download. The downloaded Excel file populates the primary details of tenant in the format as in the picture below. Note: invoices are not printed in Excel format. The PDF format displays the primary details of the tenants and the invoices as in the picture below. With this Print Batch Invoice feature, you can get the tenants' primary details (name, address) and invoices in a nice format to print in bulk.